Which are the best casino games to play on Christmas morning? There’s been quite a bit of snow over the last week or two in the US, so much so that a lot of us are thinking that our dream of a white Christmas is guaranteed to become a reality. After all, what are the odds that all this snow is going to melt before now and Christmas? To be honest, we don’t know. But I’ve been disappointed with green Christmases for several years in a row now. And as much as I don’t enjoy driving in the snow, I love waking up Christmas morning to snow-covered trees. There’s something magical about it that my family and I absolutely love. But I’m prepared for a non-white Christmas this year. I’ve got my list of Christmas games to play on Christmas morning, so even if it’s sunny and warm outside, it’ll feel like Christmas indoors. This game is brand new at Palace of Chance, having just launched earlier this month. I absolutely love the Christmas music, holiday symbols, and Santa images scattered throughout. And with up to 6x payouts when you hit qualifying symbols, it’ll feel like Santa has parked his sleigh right at your house to deliver presents your way. If you’re a fan of old-school slot machines, you’ll really love this game. With just 5 paylines and 3-reels, it’s more like the 3-reel classic machines, but way more rewarding. Who says Christmas Day has to feel so peaceful? 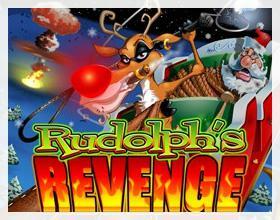 If you want to mix things up and watch the virtual blood fly, check out Rudolph’s Revenge. In this slots game, the battle for control of the North Pole is on. If you love adventure, you’ll love this game. And be warned—you might find yourself siding with Rudolph in this one. We know, this one doesn’t really have anything to do with Christmas. But hear us out. We’ve got family halfway around the world. And for the past two or three years, we’ve hopped on Facetime for a nice Christmas chat. We open presents and eat our breakfast while they tell us about their celebrations (it’s morning where we are and evening where they live by the time we connect). Our family loves casino games, so this year we’re going to gamble together. Virtually. 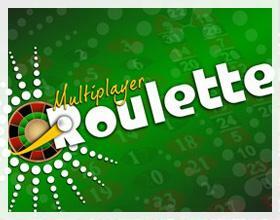 We’re going to hop online and play Multi-Player Roulette. We can sit down at the same table and play against the house at the same time. It’s just like being at a casino together, only we don’t have to leave the comforts of the warm fireplace as we sit with our laptops by the Christmas tree. 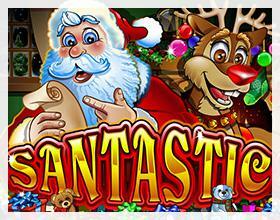 There’s even more to love about Christmas morning games when you play at Palace of Chance. Check out all the free games being offered right now by setting up your free account. No deposit is necessary at Palace of Chance, so give it a go. And have a Merry Christmas!